Who is Bibi Zainab (SA)? Along with Imam Zainul Abideen (AS), Bibi Zainab (SA) was one of the main heroes of Karbala after Ashura. Without Bibi Zainab (SA), the message of Islam would not have survived. Today’s activity is aimed at older kids who already know many of the stories of Karbala and its aftermath. 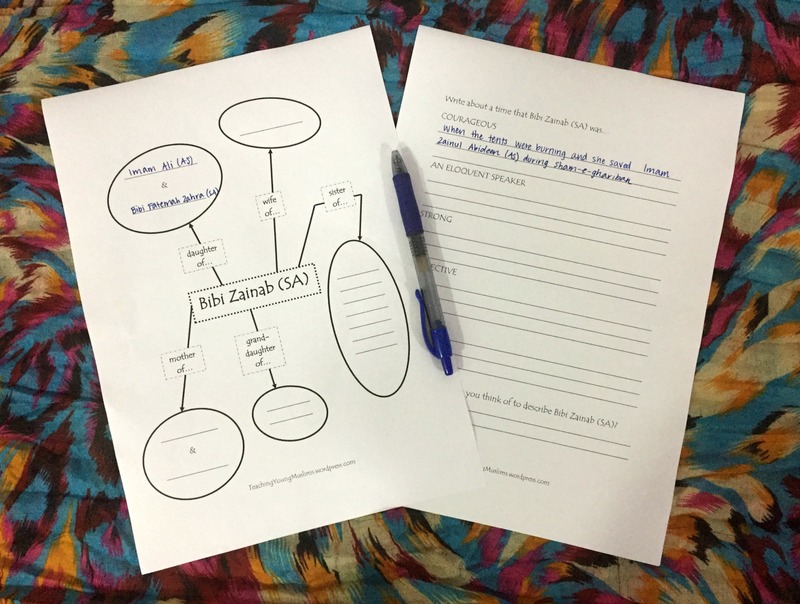 It leads them to reflect on who Bibi Zainab (SA) was, and how she exhibited the qualities that we use to describe her.